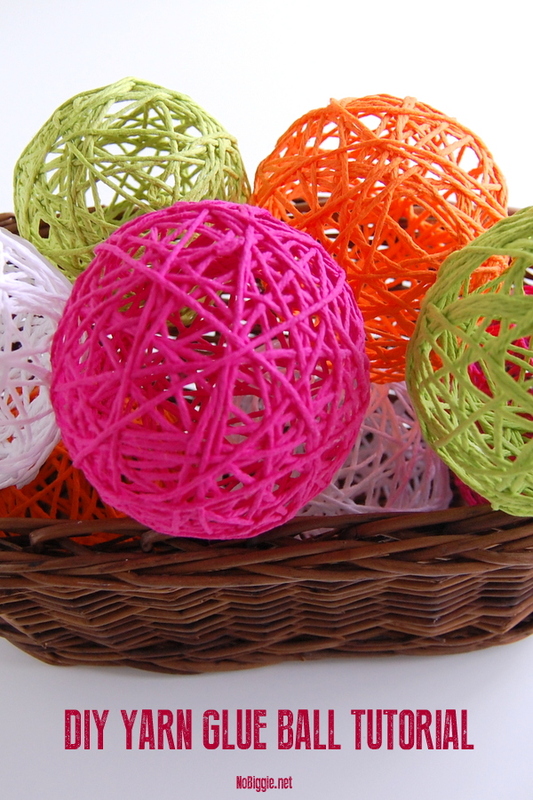 Do you remember making these colorful glue yarn balls in Elementary school? Guess what…they are still fun to make, and not just for kids. 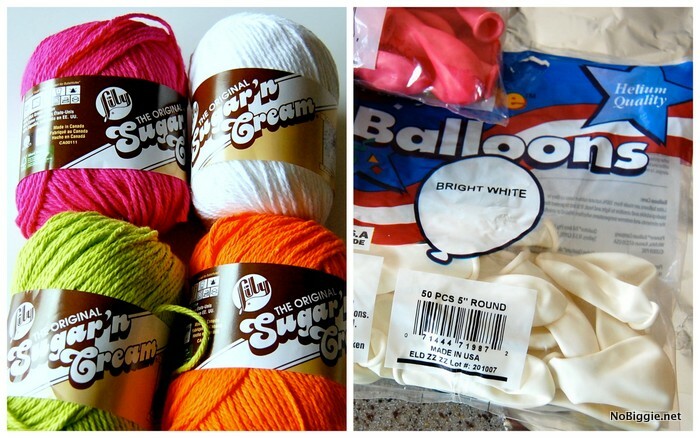 We’re sharing the easy tutorial, so grab the supplies, and let’s get crafting! This craft is messy… fun and messy! Step 1: Make a mixture of glue and water (avoid making it too watery). Step 2: Slightly blow up one 5 inch round balloon. Step 3: Pull out a big bunch of yarn from the yarn ball itself. It’s helpful to wrap it around your hand holding onto the end as to avoid tangling of the yarn (I learned this one the hard way – what a mess!) Dunk the yarn into the glue/water mixture making it all wet. Squeeze it out before wrapping. Step 4: Begin wrapping the wet yarn around the small balloon. There is no method here, just wrap it in every which way. Step 5: Once you have covered up a good majority of the balloon, cut off the yarn and tuck the end under. Step 6: Roll the yarn wrapped balloon one more time in the water glue mixture, and then squeeze out any excess. Step 7: Once all your glue yarn ball is completely squeezed out, let them dry with the balloons inflated inside overnight. This is an important step. 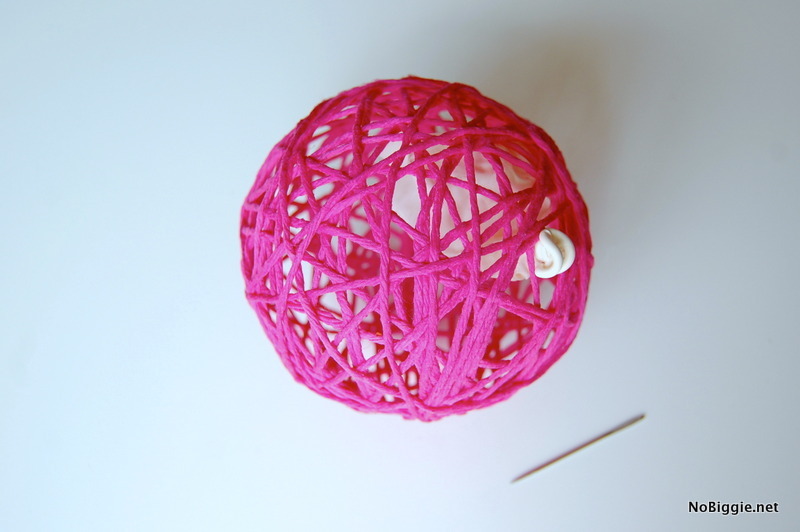 Step 8: The next day, the glue yarn ball should be stiff and hard. If it is still damp, let it dry out for a full second day. If it’s dry, you can pop the balloon, and gently pull the popped balloon out. 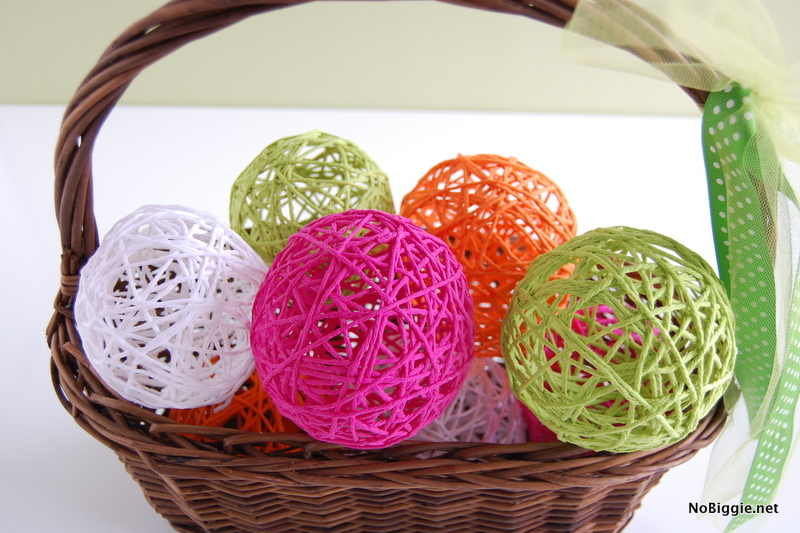 You should be left with a colorful decorative yarn ball. That’s it! Now fill a basket or a large apothecary jar or even a big glass vase would be fun too! Very cute, Livie wants to hang them in her room in the colors of her room. Those look so bright and fun and happy and Easterish! Love them! What a cute idea to do with the kiddos – my girls would love this! Those are seriously so cute, they'd look awesome hanging too like in a little girl's room. You must have gone to a really crafty Elementary school! Love this! 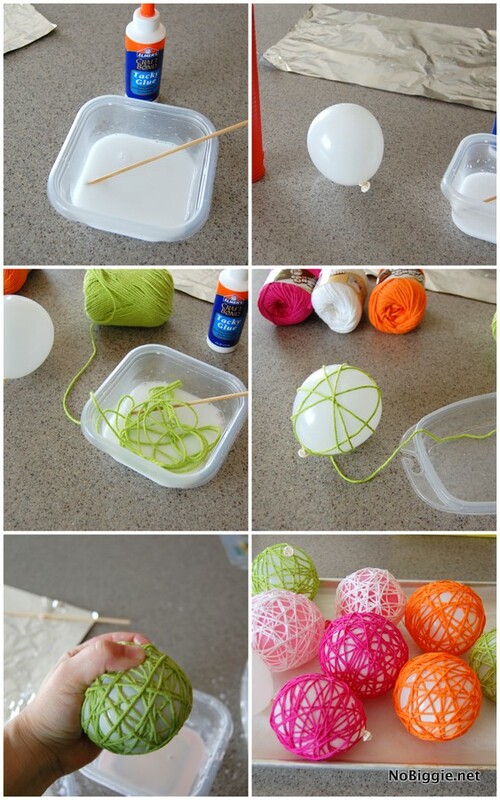 Such a fun idea, i cant believe i made it through school never learning the fun art of yarn balls 🙂 I shared your post on my blog, http://www.leidibird.com/blog/ cause its just too cute! I’m going to make some in all different colors so i can use them around the house anytime of year! Wow! These are so fun! You are so talented! Amazing photography to!